The Suez Canal was essential to British strategic communications and trade in the Great War, as well as being an important political symbol. In August of 1916, the Ottoman Empire sent an expeditionary force, which included contingents of Germans and Austro-Hungarians, against the canal. While the British were expecting an attack, the Ottomans gained tactical surprise by attacking at night. If the Ottoman attack had succeeded, Britain’s prestige and warmaking capacity would be severely damaged. 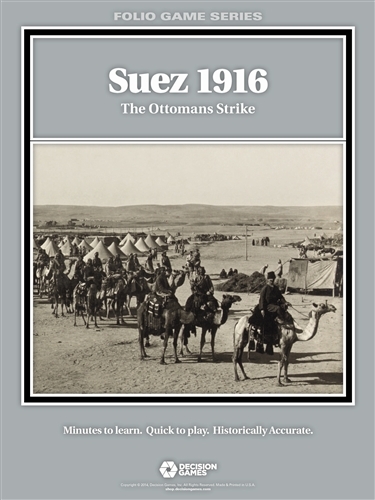 Suez 1916 uses the Fire & Movement system. The movement and combat systems are designed around the realities of mechanized warfare, giving motorized and/or specially-trained units clear advantages. 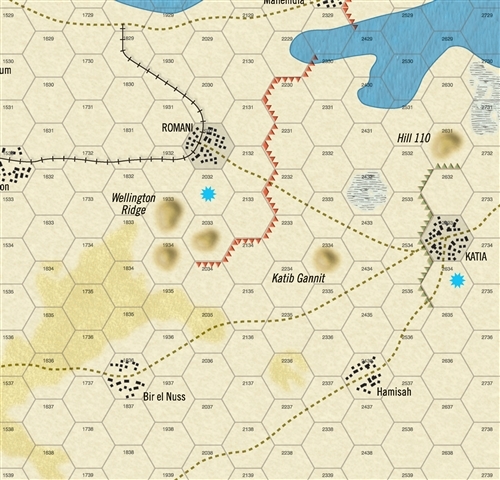 Players can augment units at the instant of combat with support fire, provided by weapons ranging from mortars through cannon and light ground attack aircraft to heavy bombers. 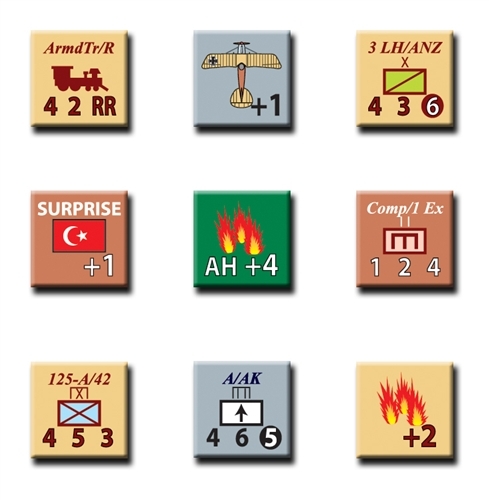 A seemingly predictable assault can be overturned at the last minute by heavy defending fires, while even small units may develop tremendous offensive punch with the assistance of a heavy bombardment. Winning the battle is a matter of maneuver, firepower and asset management. The historical battle was a touch-and-go affair, ending with the British pushing the Turks just far enough to keep the canal safe. The British have the stronger force, but the Central Powers has the advantages of surprise, initiative, and strong artillery support. The player who best utilizes his strengths and is prepared to capitalize on opportunities will prevail.